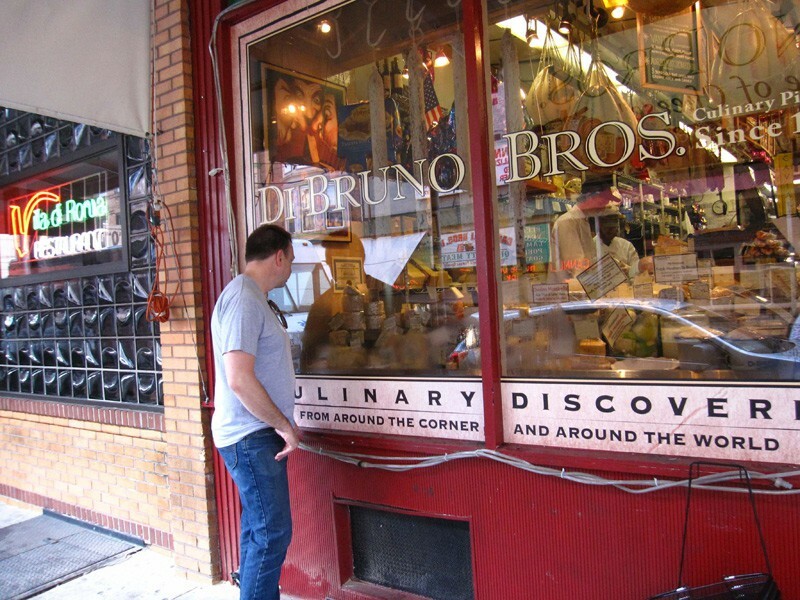 April 2012 | Blog | Di Bruno Bros.
OK, Let's get one thing straight. I'm fat and I didn't get this way from eating salads and yogurt. I got this way by drinking duck fat-reinforced milkshakes, eating scrapple filled donuts, and other people's lunch (after I had already consumed my own). I also got here by eating sandwiches like the Foie Gras Poutine Grilled Cheese Sandwich. Working in Philadelphia’s social services, my old roommate often endured tough days. Days that often resulted in the same, simple, comforting meal. I’d watch as she’d come into the kitchen, butter two slices of bread, pull some cheese out of the fridge, and proceed to prepare her ultimate nutritional anaesthetic: the Grilled Cheese Sandwich. 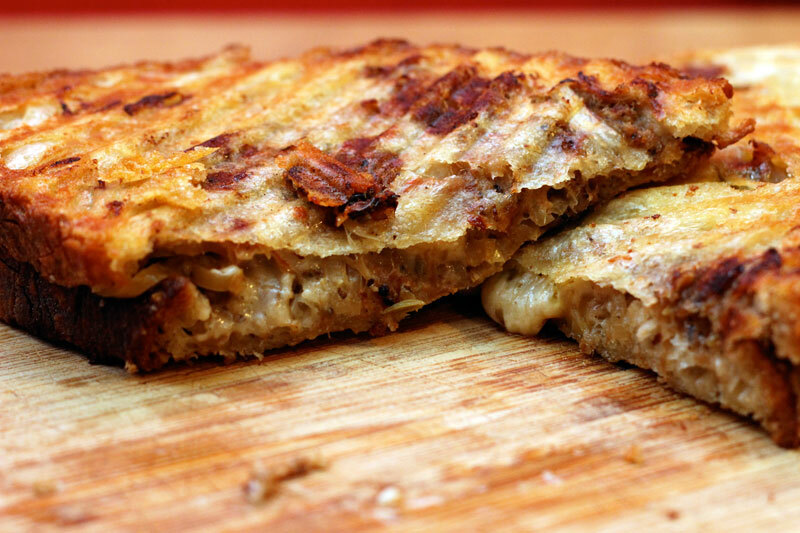 April is Grilled Cheese Sandwich Month. When tasked with creating a grilled cheese sandwich for the occasion, I asked myself "What kind of grilled cheese concoction should I make?" I love bacon and all kinds of different meat and cheese (especially blues!) What special combination can I come up with that was simple, but with no meat? This goes completely against my grain! Do you know one thing that people really love for lunch? Soup and a sandwich! Another thing people absolutely adore: French Onion Soup! Here’s a tasty creation to satisfy their hunger using a blend of delicious French cheeses and fresh, hearth baked bread. It’s what I call “The Very Cheesy Grilled French Onion Soup Sandwich”. When I set out to develop a new grilled cheese, I wanted to accomplish a few things: First, I wanted it to be quick and easy. This is a must for any grilled cheese in my book. Second, I wanted to burn some cheese. For me there is nothing better than cheese that slips through the holes or escapes from between the slices and is kissed by the heat of the pan and transformed into a chewy burnt magical state. If you love beer, then Philly Beer Week—a festival to celebrate beer in Philadelphia—is the ultimate event for you. This 10-day celebration of the ‘Best Beer-Drinking City in America’ highlights the region’s diverse beer scene – its world-class breweries, neighborhood taverns, trend-setting restaurants and rich beer culture and history. For my contribution to National Grilled month I've chosen some hearty cheeses and condiments to pair with delicious (if difficult to photograph) pumpernickel from Hudson Bread. One of the best things about working at the 9th Street is the diversity of our selection and of the products available at the Mexican markets surrounding us. My grilled cheese uses elements from several different cultures which is really what being “American” is all about if you ask me. Before I moved to Philadelphia from Wisconsin in 2005, friends told me I needed to visit a cheese shop called Di Bruno Bros. in the Italian Market. When I arrived in July, this narrow store with salamis hanging from the ceiling was one of my first stops. Now, the store feels like my home away from home. One of the most unusual parts of working in the food industry is acknowledging obscure food holidays. 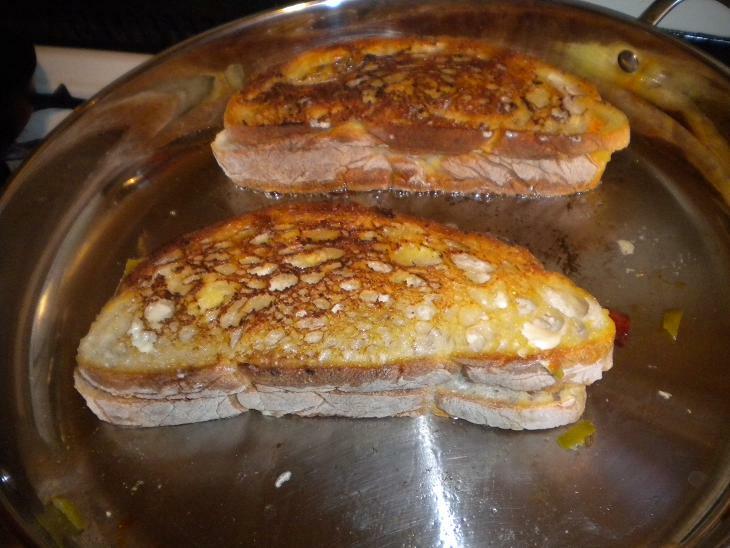 April, for instance, is "National Grilled Cheese Month." There are certainly other important dates in April (Easter, my anniversary and my birthday, to name a few), but we will be putting time aside to celebrate melted cheese on toast.